With an origin going back to their time spent living in a “Students of Color for Social Justice”-themed dorm, Das Racist’s meeting seems like destiny. While MCs Victor Vazquez and Himanshu Suri met years earlier, 2008 would be the year that they would come to the attention of the music world after their strangely catchy song “Combination Pizza Hut and Taco Bell” became a YouTube hit. Teamed up with their hype man, Dap (aka Ashok Kondabolu), the Brooklyn group has a style that both satirizes and reveres hip-hop, combining druggy nonsense, social commentary, and obscure pop culture references into one boldly self-aware package. In 2010, the group self-released two mixtapes, Shut Up, Dude and Sit Down, Man, with the latter issued in association with the Mad Decent label and featuring a song with production by tastemaker and label head Diplo. 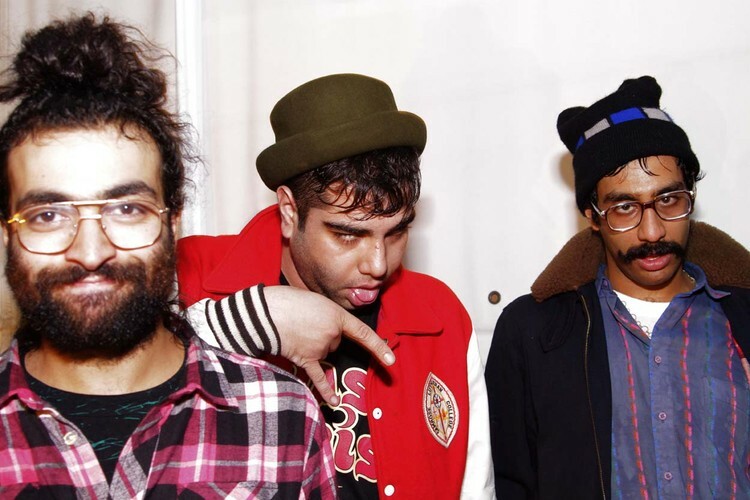 Soon after, Das Racist announced they would release their debut full-length, Relax, on Greedhead Music, a label imprint run by Himanshu Suri. Relax arrived in September of 2011.